Originally when K & I talked about travelling to South Africa, our intent was to participate in a volunteer project while we were there. 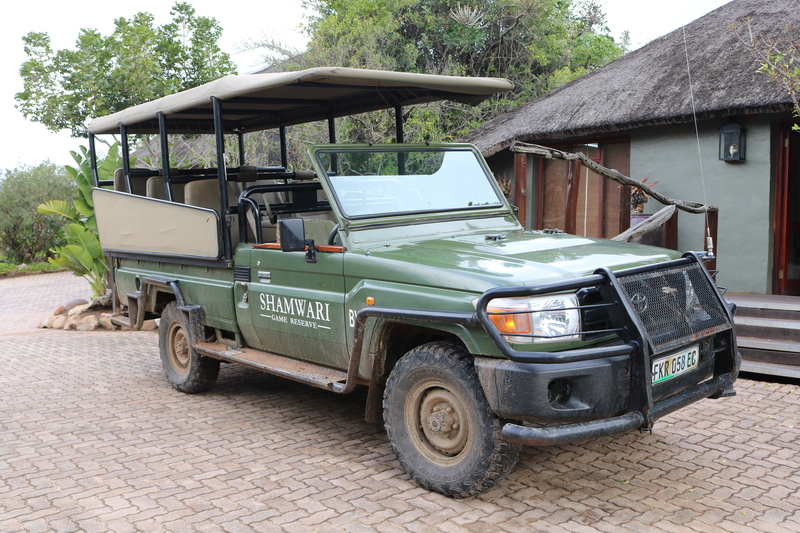 Unfortunately, due to some time restraints, we were not able to participate in this kind of experience, however, in doing our research, we were led to the Shamwari Game Reserve. Looking over a small piece of Shamwari. 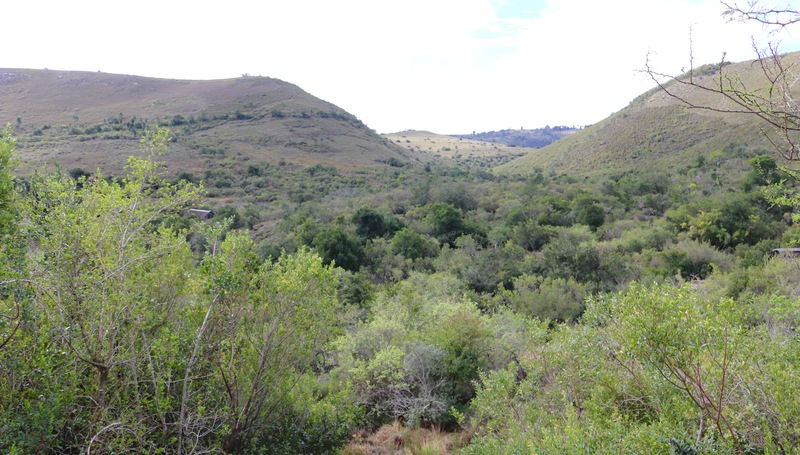 Shamwari is a private reserve located in the Eastern Cape of South Africa. We chose it for a few reasons. Situated in a malaria free zone & covering an area of approximately 25,000 hectares, we liked the idea of being able to visit the reserve we had hoped to volunteer on but more importantly, we were impressed with the very close attention paid to the conservation of the land & the animals who live here. From the moment we arrived on Shamwari, we knew we were in a special place. 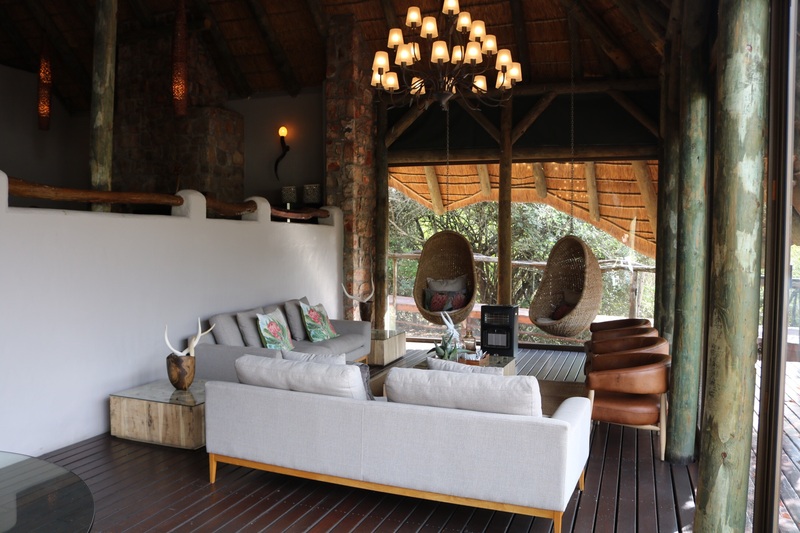 There are 7 choices of accommodations on the reserve, each beautifully incorporated onto the property. They are small by North American standards, with the largest of the 7 only accommodating a maximum occupancy of 30. 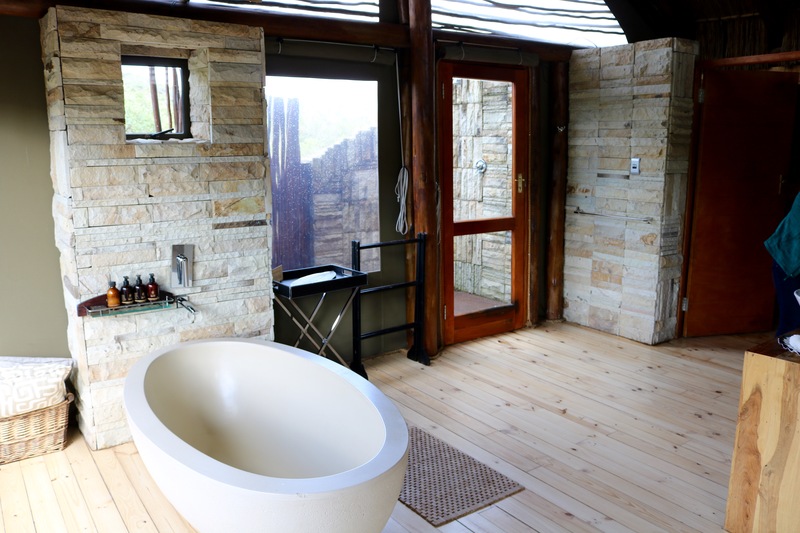 This is part of what makes them so unique, creating not only an intimate experience, but a very tranquil one. 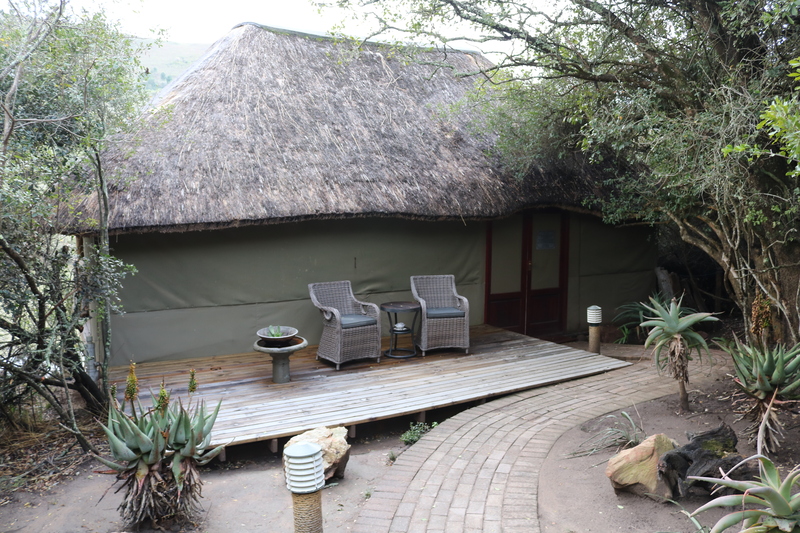 *We chose to stay in the Bayethe Tented Lodge, which consists of 12 private “tents”, each strategically placed to ensure privacy for guests while being surrounded by the quiet of nature. We were blown away when we were escorted to our “tent”. The view from our tent. If you look closely, you can see another tent off to the left. 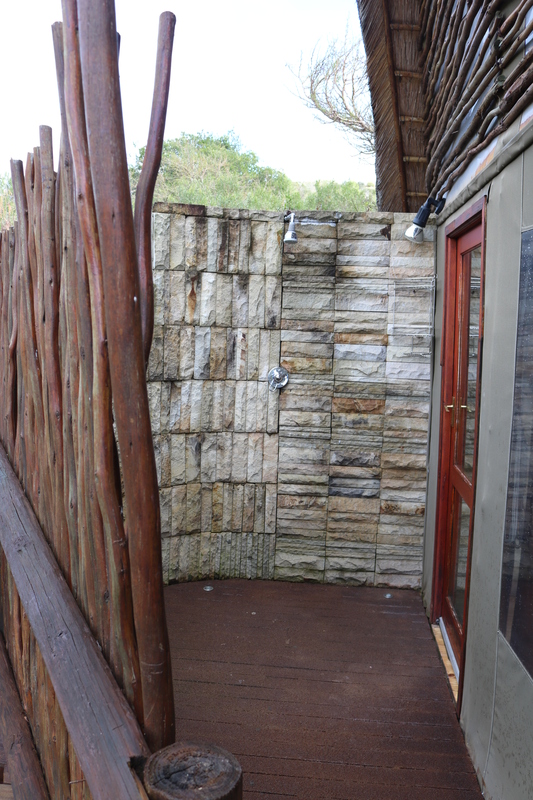 Or maybe an outside shower? Or would you prefer to just sit & watch the world go by! Over the course of the next 3 days, K & I would find ourselves speechless many times, drinking in the beauty of this place & the utter sense of calm we felt in being here. 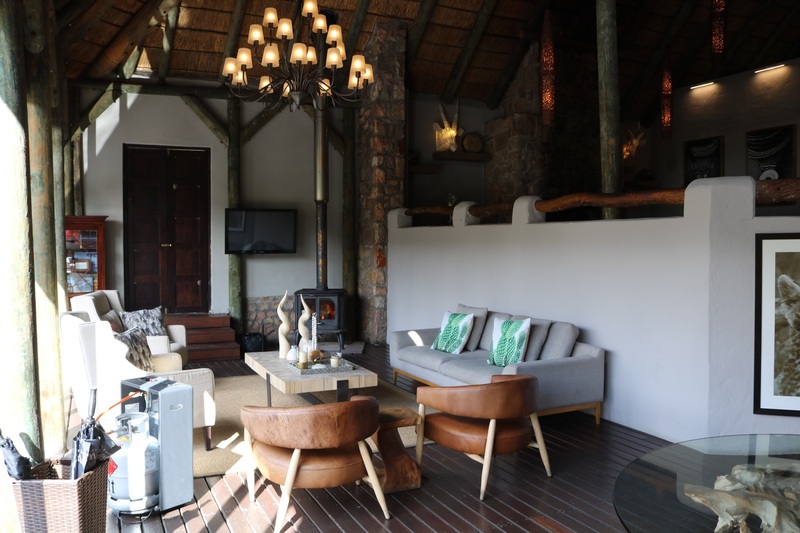 After freshening up a bit, we made our way down to the common area where guests are treated to beautifully prepared gourmet meals 3 times a day as well as high tea each afternoon prior to heading out for the late day game drive. 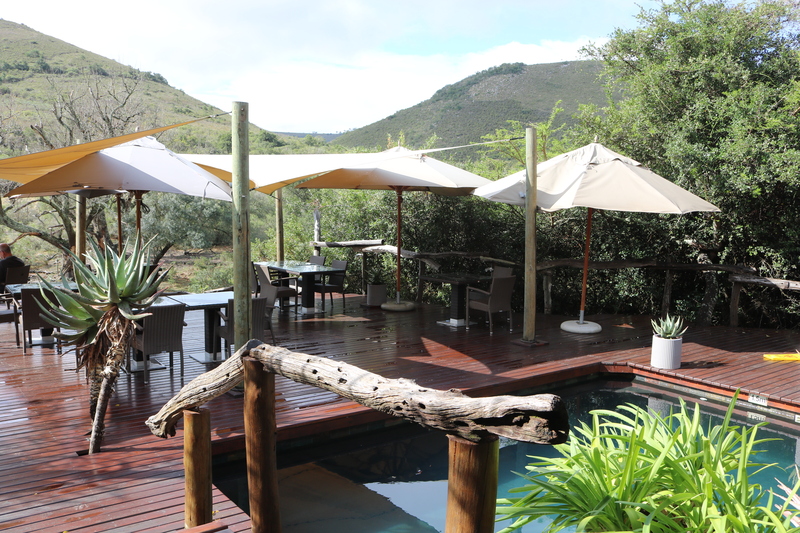 Outside eating area which overlooks a watering hole on the other side where animals are often sighted. The Spa & yes, we booked a full body massage for ourselves! Guests are assigned a ranger who is responsible for taking you out on your game drives & acting as your host for the duration of your stay. I cannot say enough about our ranger, Alistair. His knowledge of the plant & animal life on the reserve, his charm in making us feel so welcome, his patience in driving all over the reserve in search of animals we hoped to see & his enthusiasm for the work that he does, were all part of what made this experience so memorable. We were so excited at the prospect of the sights we would see over the next few days. Like two little kids in a candy store, we happily tucked ourselves in for an experience that would leave a lasting impression on our hearts. After briefing us on the dos & don’t of going on safari, we headed out for our first game drive. We were barely out of the road that leads into our lodge when we spotted a group of these magnificent creatures! 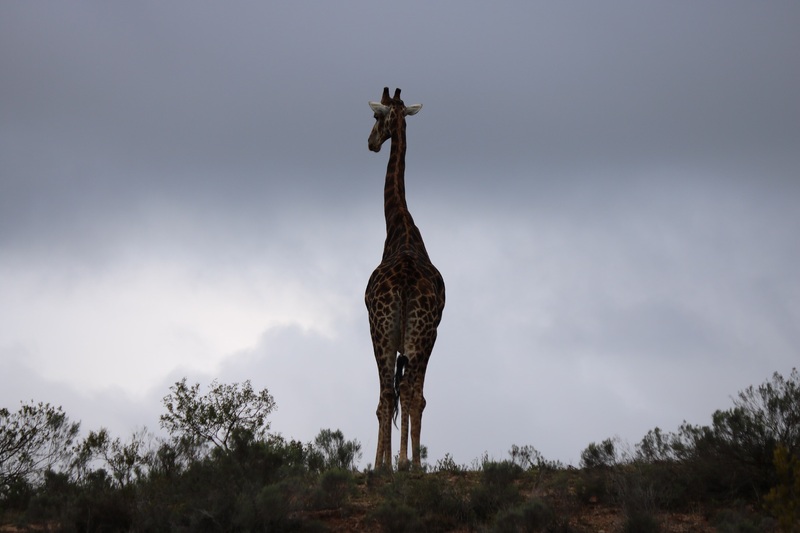 Loved how the majestic this giraffe looked standing against the darkening clouds. Stay tuned for many more wonderful sightings! *Our tour was booked with African Welcome Safaris who were incredibly easy to deal with, responding to any concerns or questions in a very timely fashion. 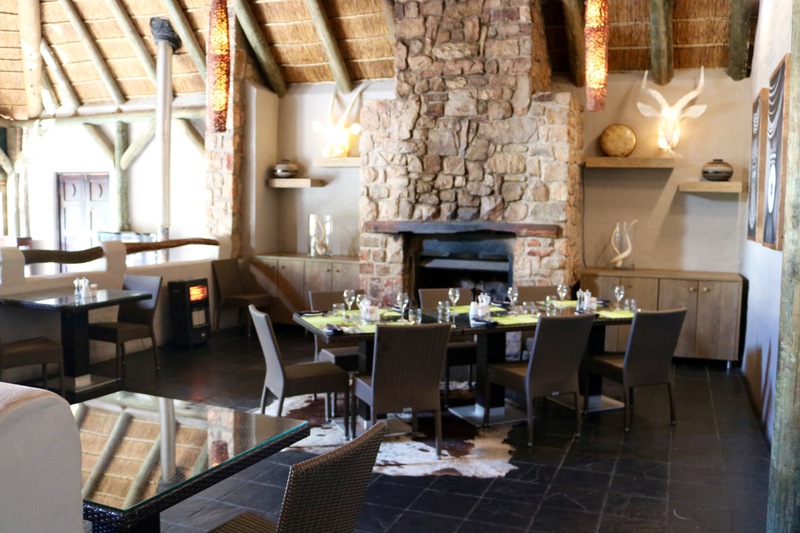 This entry was posted in Uncategorized, Wanderlust and tagged African Welcome Safaris, Gratitude, Shamwari Game Reserve, South Africa, travel. Bookmark the permalink. Wow Lynn it looks amazing! Now that is my kind of tenting! I am see that choosing to stay in a malaria free zone does make it less complicated. 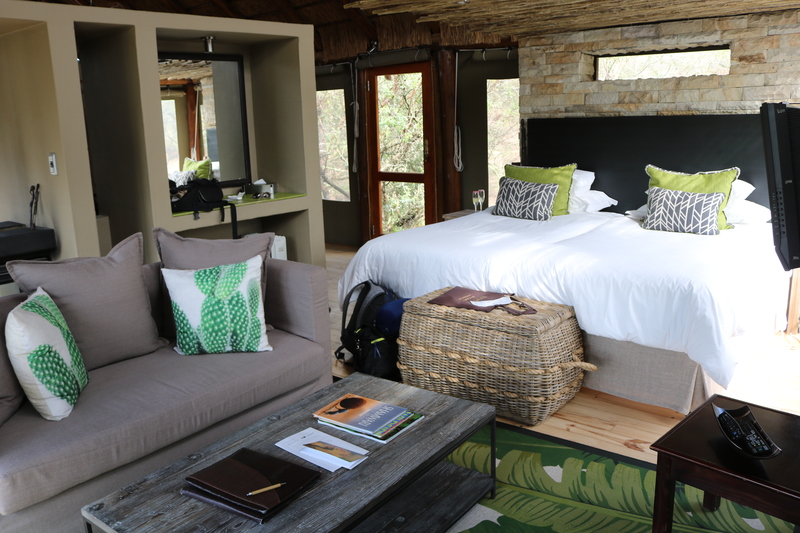 Since we will be going to Victoria Falls, which will require malaria precautions, we chose a reserve in Kruger. Love those giraffe photos and looking forward to more. It was stunning Sue! 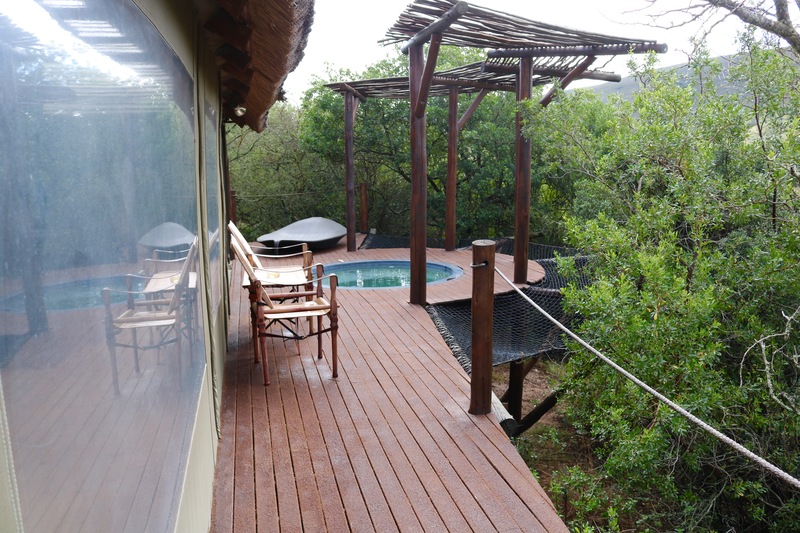 Kruger is much larger in comparison & is a National Park vs a private reserve. I am certain you will have an incredible experience! Wow! That “tent” makes me want to go “camping” – ha. Beautiful area, I’m sure you two had a fantastic adventure. We had the most wonderful experience here! I would go back in a heartbeat! Looks very luxurious! 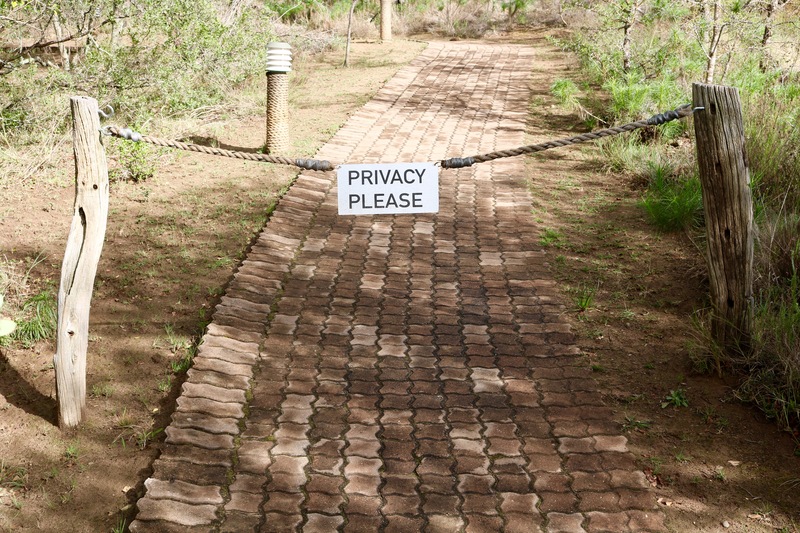 For a basic (and much cheaper) experience we stayed in Addo also in the Eastern Cape where we had a rondavel to ourselves and could self-drive in the park. 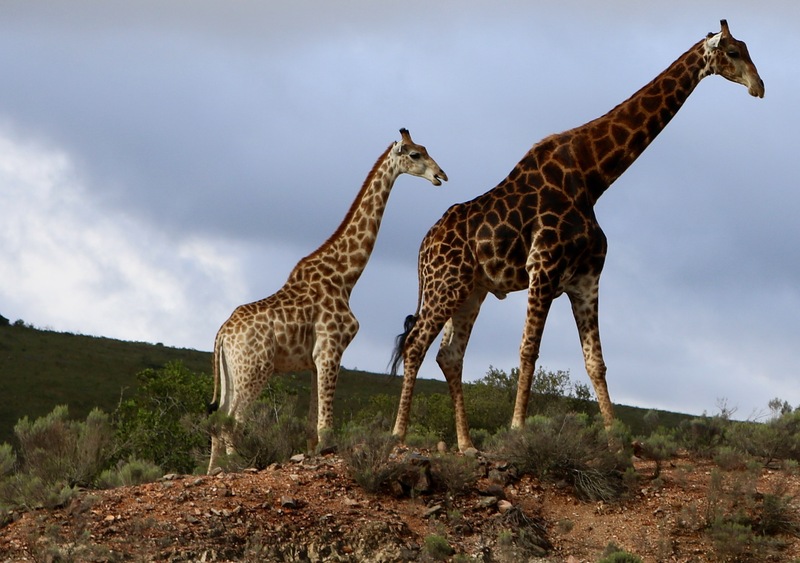 Addo doesn’t have giraffes though as they aim to only have the wild animals that inhabited that region. So lots of elephants, warthogs, birds and even lions. Jude, we passed the Addo Elephant National Park on the way up from Port Elizabeth. I will have to check it out! John, it was really tough but somehow we managed to get through it! Your tent is better than my house! Definitely my kind of camping 😉 This looks like it was an amazing stay – even without the added benefit of the safari!! And who doesn’t absolutely love giraffes?!! It was Joanne! I think we walked around with our jaws hanging open for the 3 days we were there! The giraffes were so interesting to watch. They almost have a dinosaur quality to their appearance & their gait as they move. I never thought of it that way, but you’re right! They do. When you came home again, did you catch yourself looking for giraffes on the side of the road for a while? That would definitely tie up traffic on the 401!!! Believe it or not we used to have an elephant from our local zoo (now closed) who used to walk the streets here with his owner for exercise. He definitely stopped traffic a few times! That’s about as close to a tent as you’ll ever find me. What a wonderful place and experience. You seem to be in good company Nelson! Although we expected our accommodations to be above the usual kind of tent, we did not anticipate this kind of luxury! Amazing! What a fantastic experience to share with your daughter… I’m speechless. So were we Ingrid…for about 3 days! It was so beautiful Carolyn. I know we have talked about what this experience meant to K & I but you probably haven’t had a chance to see pics! Thank you Norm. Now I just have to chose from about 700+ photos for the next post! Tess, it was amazing! More to come my friend! Now that is my kind of camping! But seriously, it looks as if it was an incredible experience, and the photos are awesome. I can’t wait to see more! It really was incredible Ann! Hope to share more in the next week or so! It truly was George. Thanks for visiting! This camping you’ve shown us here is not the type of camping I avoid. Ha! Neither does our MEC Bruce! This is glamping in its very best form! There’s more coming Roseanna! How was Morocco? This post makes me positively homesick! 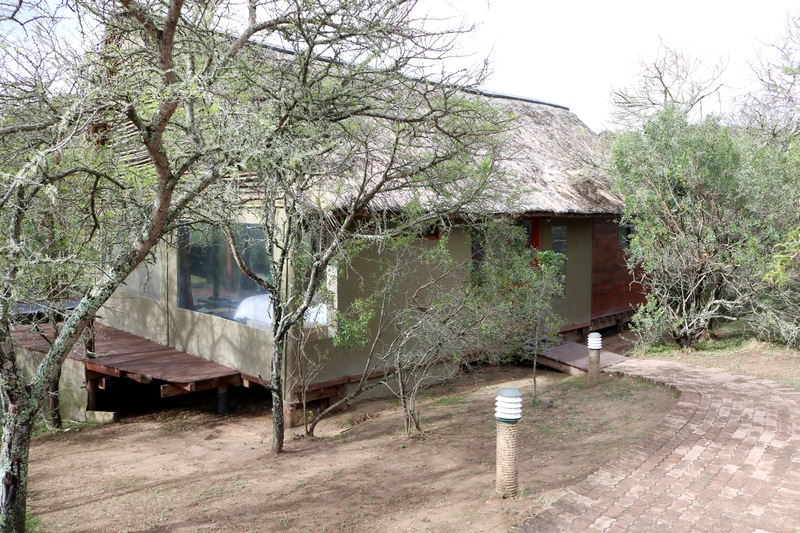 Although as kids we stayed in very very basic lodging in the Kruger Park. This “tent” is stunning and makes me want to go camping right away…just gorgeous pics of your accommodation. And as for the giraffe ~ just WOW ! Beautiful. 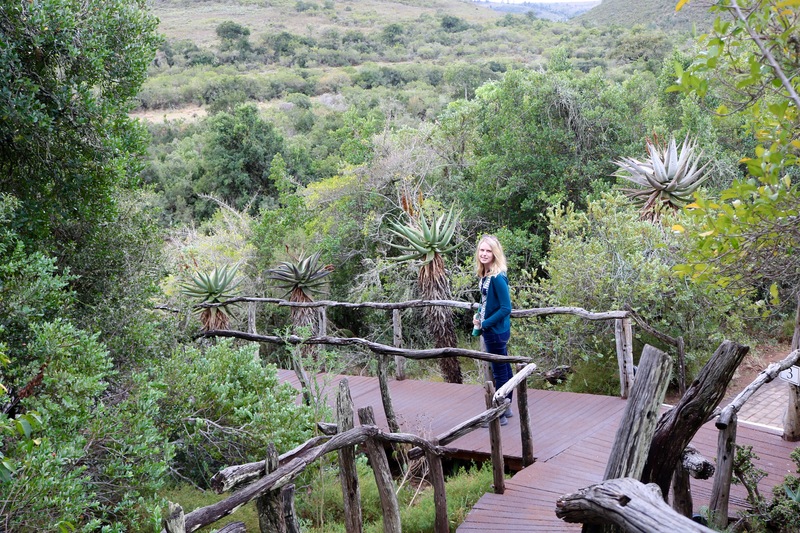 Peta, our experience at Shamwari went beyond our expectations in so many ways. How wonderful for you to have such memories as a child, I am sure you must have many stories to tell! Oh Lynn! What an incredible experience in such an amazing place. Your “tent” was stunning and I’m so excited that you were able to see those giraffes. The giraffes were so interesting to watch Laurie. We would see many of them over the next few days but never tired of being fascinated by them! Like no tent I ever set eyes on! You lucky girl 🙂 🙂 Fabulous to see giraffes in the wild. More to come. Oh, goody! Well, I suppose if I really wanted to rough it, I could spend a few days/years in a tent like that. Lovely shots of the place, and animals!!! 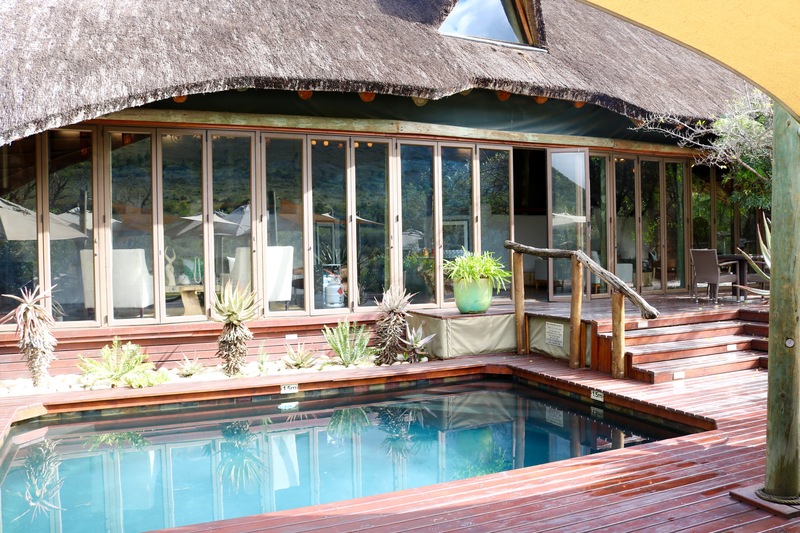 South Africa…now on my radar. It is definitely worth a visit! Thanks for dropping in! I’m in when a tent has stone walls! [ð] awwwwe, and beyond! .. never camped like this, looking forward to more. This was definitely a luxury for us James. I am not sure what we were expecting but it was certainly not as beautiful as this! Oh my! Yes, you definitely would not have wanted to become dinner prior to getting to dinner! What an adventure! Sherri, it was so amazing! I would highly recommend Sharmwari as a destination for a safari. I cannot say enough about our experience there! I hope that you & your husband fulfill your dream of getting to this part of the world. It truly is an unforgettable experience! Wishing you & your loved ones a very Merry Christmas & all the best in the New Year! I’ve bookmarked your links Lynn, and will definitely be showing them to hubby! What an amazing experience for you both. Thank you again for sharing them and for your lovely Christmas and New year wishes! You were really slumming it there in that ‘tent’ 😉 Holy beautiful!! When hubby and I go full time in our travel trailer, we are going to find volunteer opportunities also. The act brings so much joy to me, that I wonder who’s benefiting more! We had no idea our accommodations would be so beautiful! We were totally blown away. Volunteering is something that can make the travelling experience all the more richer. We hope to go back some day & explore more of this fantastic destination! When are you & hubby hoping to hit the road? It’s a retirement dream… we do get out as often as we can now. Today we left for Savannah Georgia!